Once very popular in the 1960s, sliding patio doors are making a comeback. They have the advantage over bifold doors when it comes to the amount of light allowed into a room, and save space by not having the stacking problem of bifolds. As a modern constructed door they are also energy efficient and secure. All our patio doors at Camberley Glass and Windows are built from strong lightweight aluminium or PVCu and are available in a large variety of styles. You also have the choice of frame depths, hardware and finishes. In addition we can satisfy whatever requirements you have for size to suit your home. Our doors are designed to the highest standards for reliability, security and performance, and come with a fully insured guarantee. 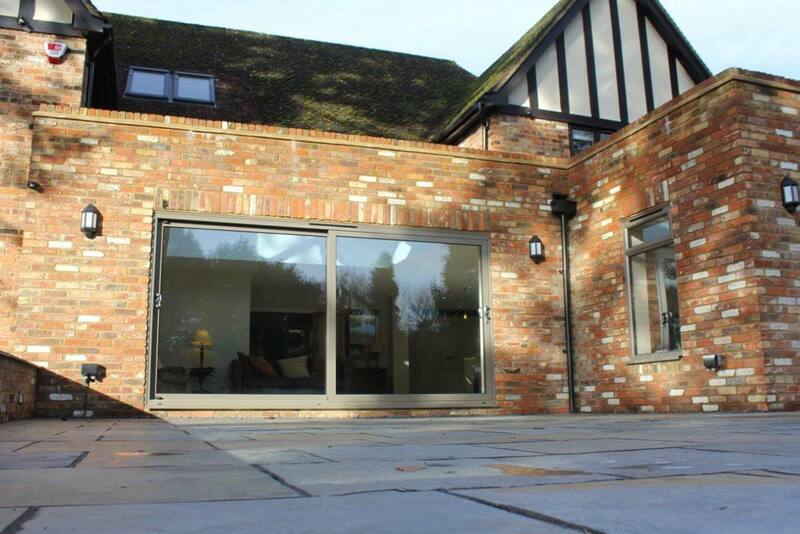 Camberley Glass and Windows has been working in Hampshire for almost 50 years. We were originally established in 1965 as a family run group of companies, but later became one company. At the heart of our company is professional service, customer care and attention to detail. We have a proven record which you can see by our testimonials page, and much of our work comes from personal recommendation. You can also see our high ratings on Checkatrade, and we are an approved trader on the Buckinghamshire and Surrey Trading Standards Approved traders list. Why not come to our showroom in Camberley, Surrey, and look at what is on offer. You could also chat to our friendly advisers, all of whom are fully qualified and FENSA registered. We would be pleased to answer any questions you may have about patio doors and show you the options available without any pressure to buy.